Protein & mineral supplements formulated specifically for goats. Goat production is becoming increasingly more popular and profitable for producers. 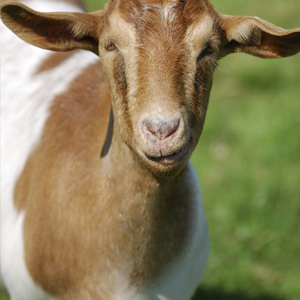 Kay Dee Feed Company has several mineral and protein products formulated for goats. The Goat Block 6 can be fed free choice to goats on pasture or confinement, and contains high levels of calcium, phosphorus, and chelated trace minerals for health and productivity. The Kay Dee 20% Sheep & Goat Protein Block also contains no urea, supplements low-quality forage, and helps extend forage grazing. The Kay Dee Goat Tub 16 contains 16% all-natural protein and a chelated mineral pack for optimal utilization.